Are you betting on the right engagement channel? Unsurprisingly an estimated 10 million people in the UK will be watching the racing event of the year, the Grand National 2018. As this iconic event kicks off the racing season in just a few days, millions will be desperate to see which horse triumphs and of course whether they’ve backed a winner. The Grand National is a classic example of traditional racing meets modern gambling, consumers are increasingly looking to their mobile devices to get the latest odds, race times and even place their bets. 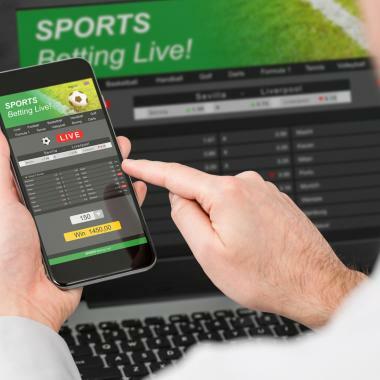 The smartphone has fundamentally changed the gambling landscape in the UK, providing retailers with the opportunity to directly engage with their consumers using their preferred device. The freedom of mobile offers modern customers the ability to amend and place their bets in real-time during a race and easily monitor their progress. An astounding 4 million people now use their smartphone to gamble, the question is how can gambling retailers reach the even larger audience that is already gearing up for the Grand National? SMS is the only to channel to deliver real-time communications, enabling consumers to complete transactions, sign-ups and competitions using just one device. The key to successful SMS sharing is to make it as simple as possible for your customers to opt-in to communications, followed by messages which deliver real value. Customers can easily opt-in using a keyword and short code, simply text in to receive regular updates on race times, insider tips and of course the latest odds. To encourage additional engagement the same process can be used to enter a competition, win a free bet, race day tickets or even a VIP experience. Using SMS as a channel to deliver value and service to customers during the Grand National is an ideal way for retailers to capitalise on the increased interest in racing and encourage additional yet responsible spending.